Fig.1 shows preop model with deep bite. 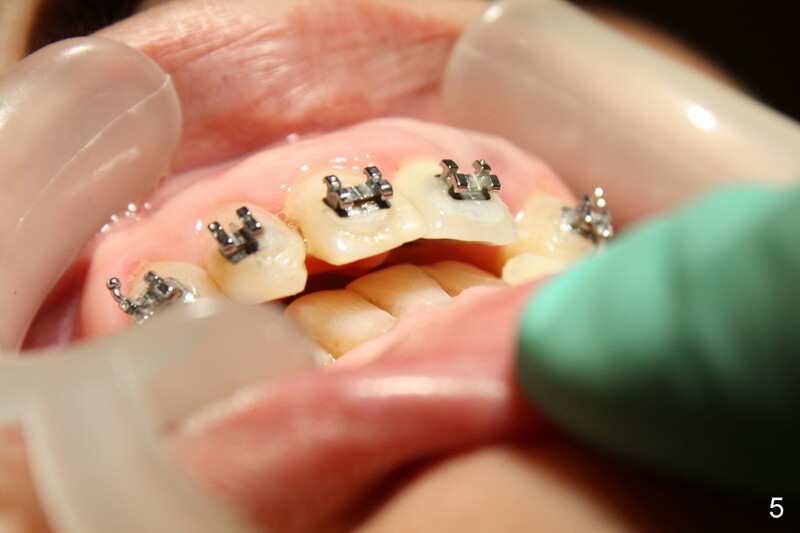 The first step of ortho is to expand the upper arch and intrude the central incisor (Fig.2). 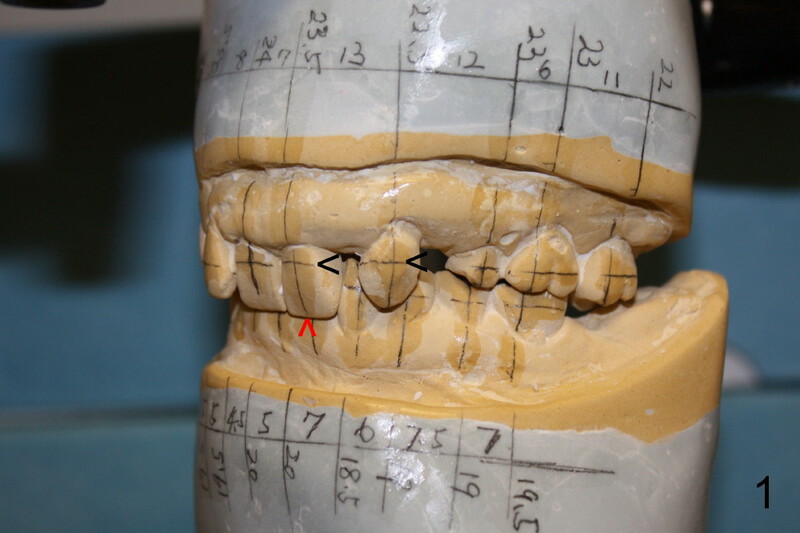 Fig.3 shows that the brackets are just placed on the upper arch. 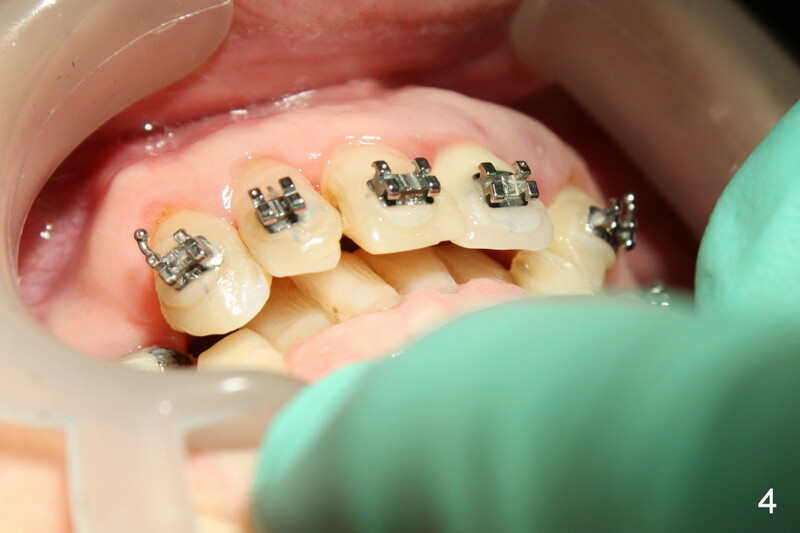 Overjet improves 1.5 and 3 months of ortho treatment (Fig.4,5). 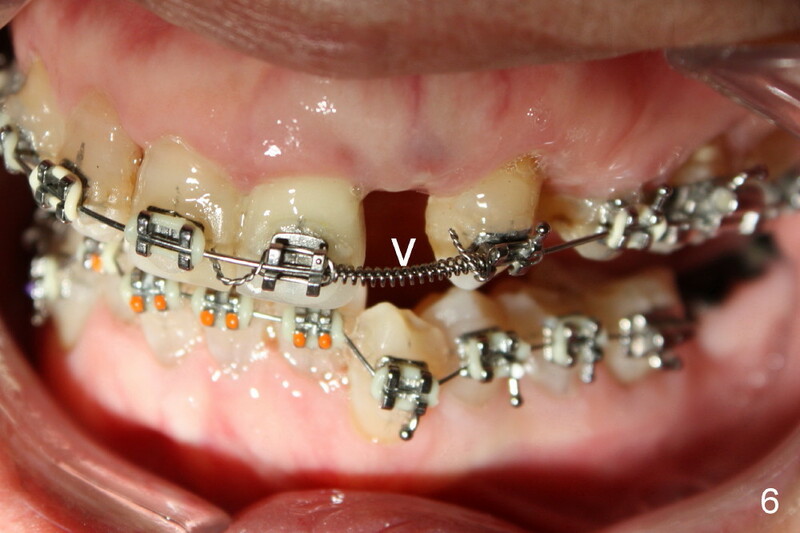 Brackets are placed on the lower arch (3 months after ortho, Fig.6). Open Coil Spring (arrowhead) is applied to increase mesiodistal space of the upper left lateral incisor for implant placement. The lower right 2nd premolar is severely lingually inclined. 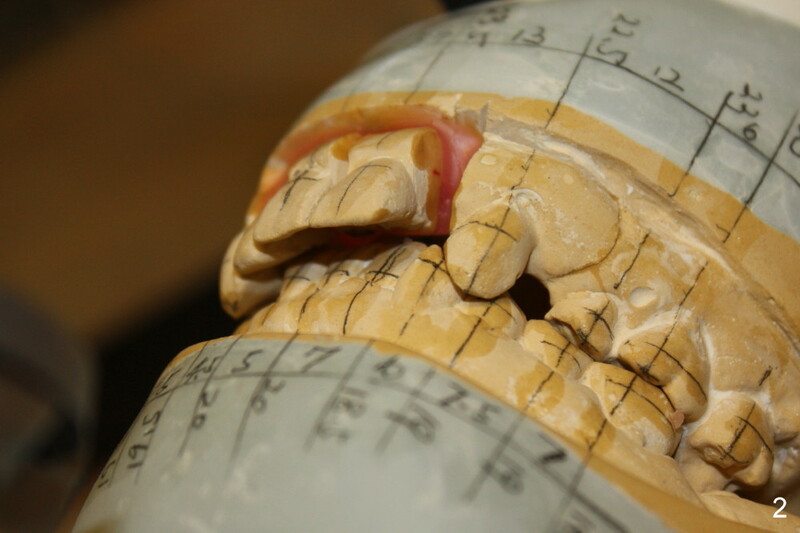 Two lingual buttons are placed on the buccal surfaces of the premolar and the third molar. Power chain is placed between these two lingual buttons. One month and a half later, the premolar is approaching the mesial root of the first molar (Fig.7 M). 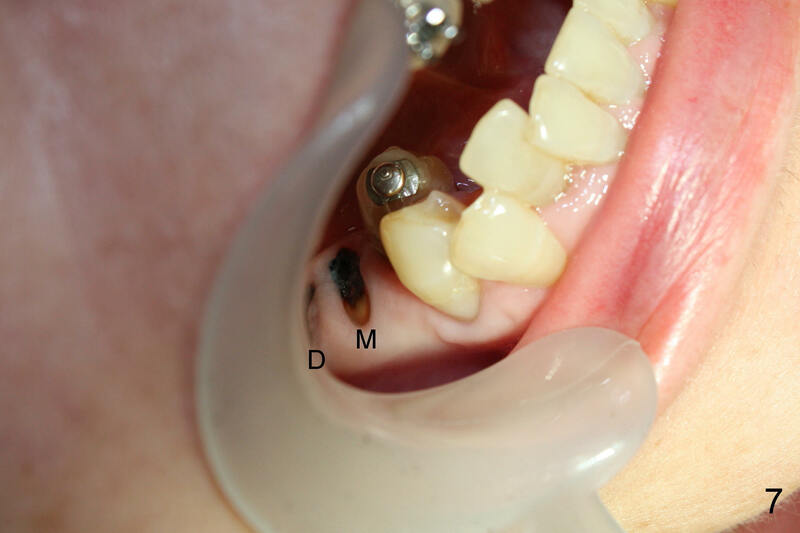 Another 1.5 months later when the lower brackets are placed, the premolar is so close to the mesial root that the later is extracted (Fig.8). 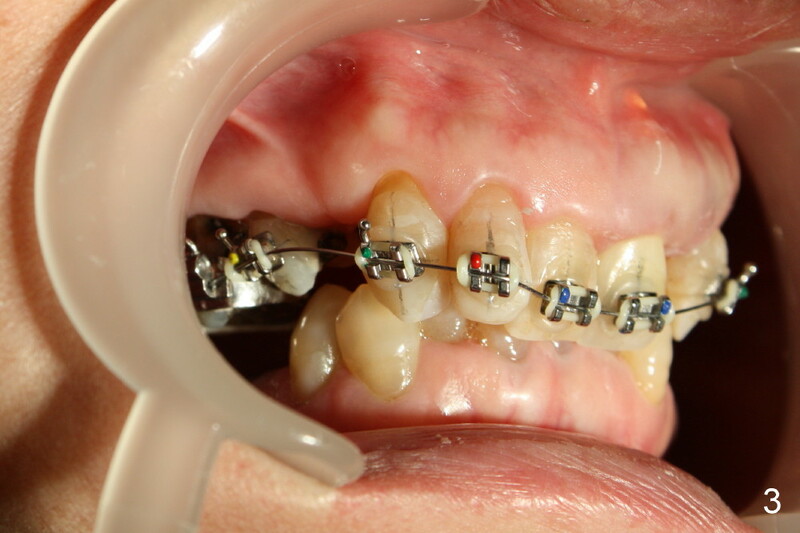 One month later, brackets are placed on the premolar and the third molar. 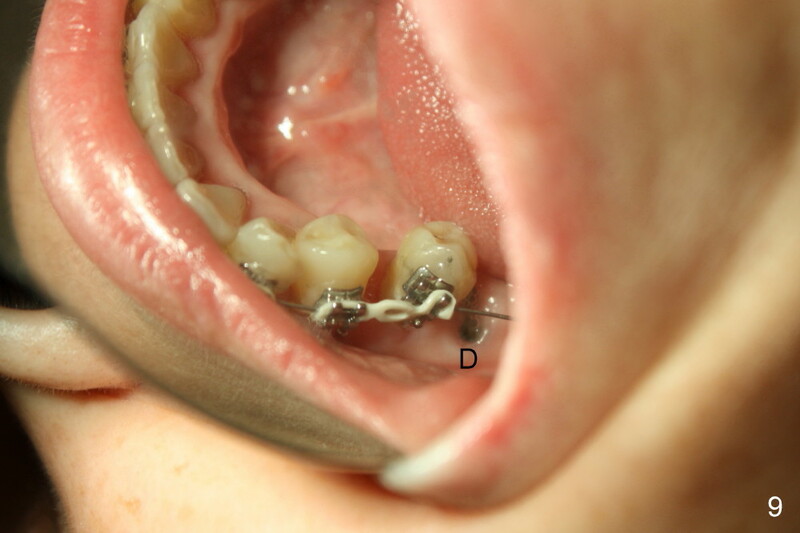 A .012 niti wire extends distally to the third molar. 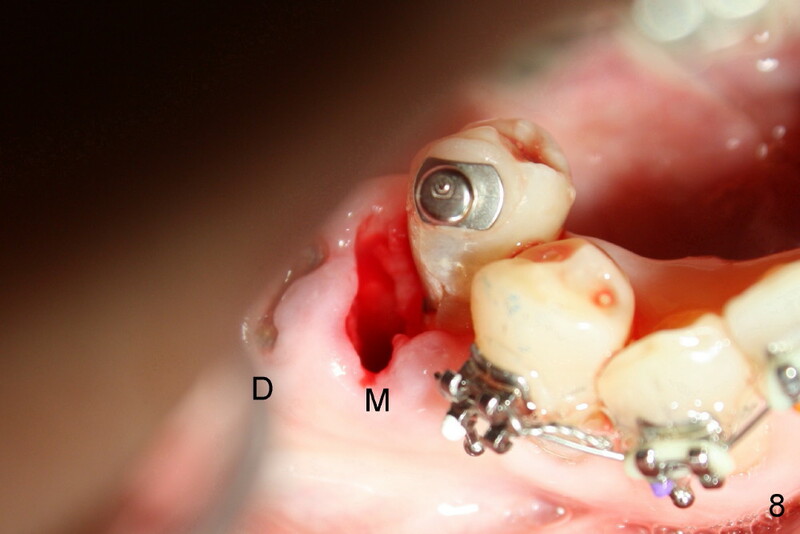 Another one month, the 2nd premolar is more or less in normal position (buccolingually, Fig.9 mirror image). Further distalization will use an implant at the site of #30.